In Hear This, A.V. Club writers sing the praises of songs they know well—some inspired by a weekly theme and some not, but always songs worth hearing. This week: songs we discovered through movies. The saying goes that not a lot of people bought The Velvet Underground records while the band was still together, but everyone that did started a band. It may be more accurate to say that everyone who did started a conversation, evangelizing the music of Lou Reed and company to anyone with open ears and an open mind. So it’s fitting that one of cinema’s strongest crusaders for the gospel of pop, High Fidelity, should feature a character stumping for the Velvets. 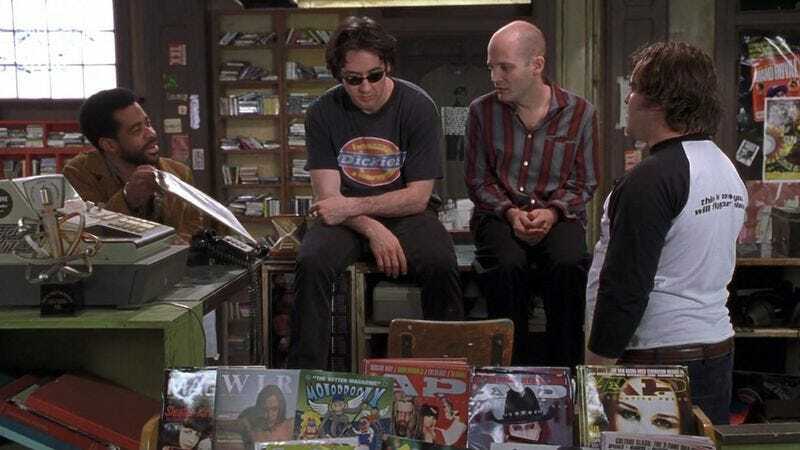 During one of the film’s many sequences of record-store idle, Rob Gordon (John Cusack) and his Championship Vinyl staff riff off their “top five side one, track ones” with a customer played by Alex Désert. Rob’s “feeling kinda basic,” and his picks reflect that: Tracks like “Janie Jones” from The Clash’s self-titled debut (which is only track one on the U.K. version) and “Smells Like Teen Spirit” from Nevermind. Number four in the list, meanwhile, is the most basic, Velvet Underground-esque of The Velvet Underground album-openers, the scuzzy dynamo of barrelhouse piano and dentist-drill guitar that kicks of White Light/White Heat. It’s a safe list, as Jack Black’s Barry points out, but only because each song’s an accepted classic. Of course they’re accepted classics because each one of them is a goddamn masterpiece.